PERSONALIZED CHOCOLATES CREATED AT ANY EVENT WHILE YOUR GUESTS WATCH! 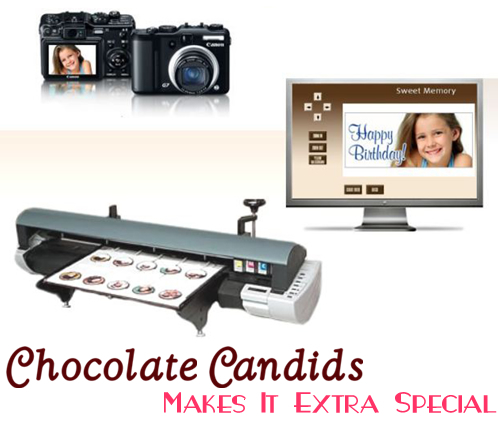 Our team will take your guests' pictures and, in minutes, completely edible images are magically printed on a delicious piece of chocolate right before their eyes. Appeals to KIDS OF ALL AGES! Whether it's a 13 year old at a Bar Mitzvah, an adult guest at an event or fundraiser, or an executive at a trade show or convention, Our patented technology delivers entertaining personalized gifts and unforgettable moments in one dynamite package. Makes any party the talk of the town for months to come.